From the shores of Africa to the bowels of a transatlantic ship to a voting booth in Mississippi to the jungles of Vietnam, all human connection is a matter of souls. 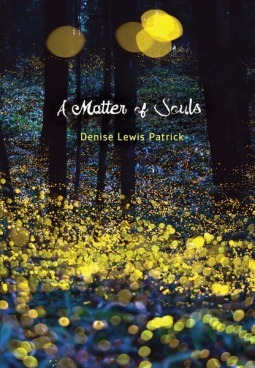 In this stirring collection of short stories, Denise Lewis Patrick considers the souls of black men and women across centuries and continents. In each, she takes the measure of their dignity, describes their dreams, and catalogs their fears. Brutality, beauty, laughter, rage, and love all take their turns in each story, but the final impression is of indomitable, luminous, and connected souls. I kind of want everyone to read this book. It's a collection of short stories, so it goes by very quickly, and the focus is exclusively on people of color throughout history. Aside from a strong theme of equality and civil rights, each story stands alone, so it's a very easy book to read in bits and pieces, but I read most of it in just a few sittings. Many of the stories focus on women or families, and each story is poignant. The author has a wonderful, spellbinding way with words that really draws you in, and sometimes the stories feel just a bit magical, even when they're grounded in reality. Some are hard to read -- none of them shy away from the brutality that African Americans have faced, and continue to face -- but there is a thread of optimism and perseverance that weaves throughout all of them. On the author's website, she describes the book as a collection of stories for young adults, and I agree that this would be great for teen readers, especially anyone taking a US history or social studies class. But I think this book will resonate with readers of all ages, from teenagers to people who lived through the Civil Rights movement of the 60s, and beyond. It's an important book to read and one that I think everyone should invest a little time in going through. I usually try to stay away from a lot of short stories just because there are so many of them. But I do really like the premise for this book. It really does sound like a thought provoking read!